In this article, Bode Plot of Simple Phase-Lag Network (First Order System) is obtained using Matlab. 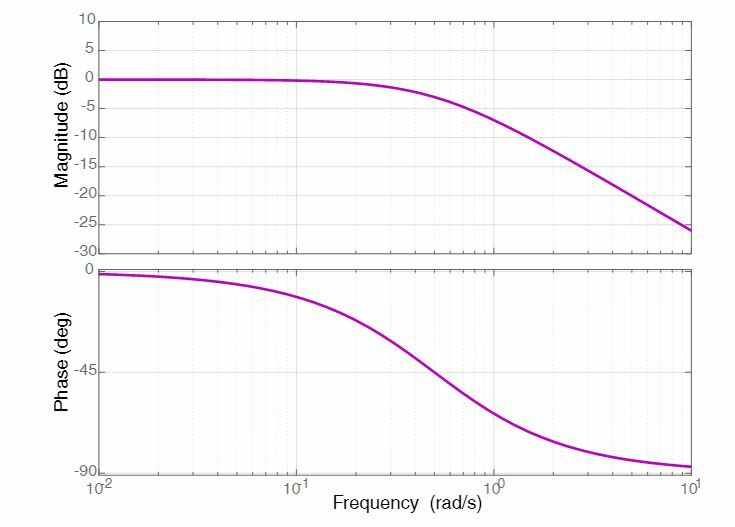 In order to draw Bode Plot, we need transfer function from which we deduce the equations for Magnitude and Phase. Hence, magnitude response would be constant below breakpoint. Here, we implemented the bode-plot for the comprehensive understanding of the readers.